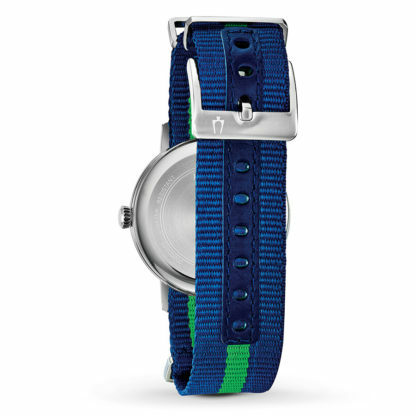 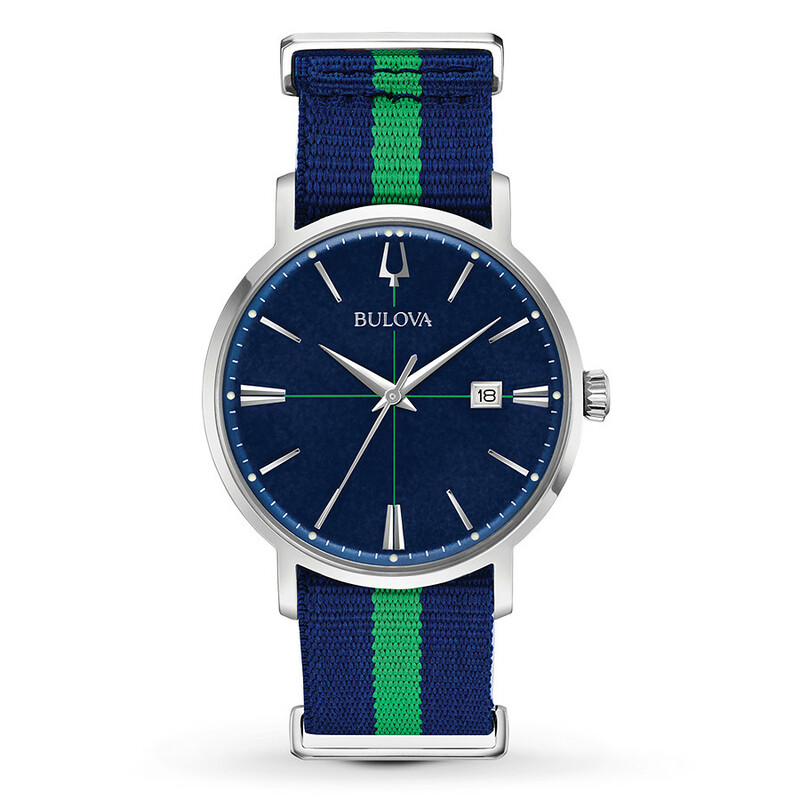 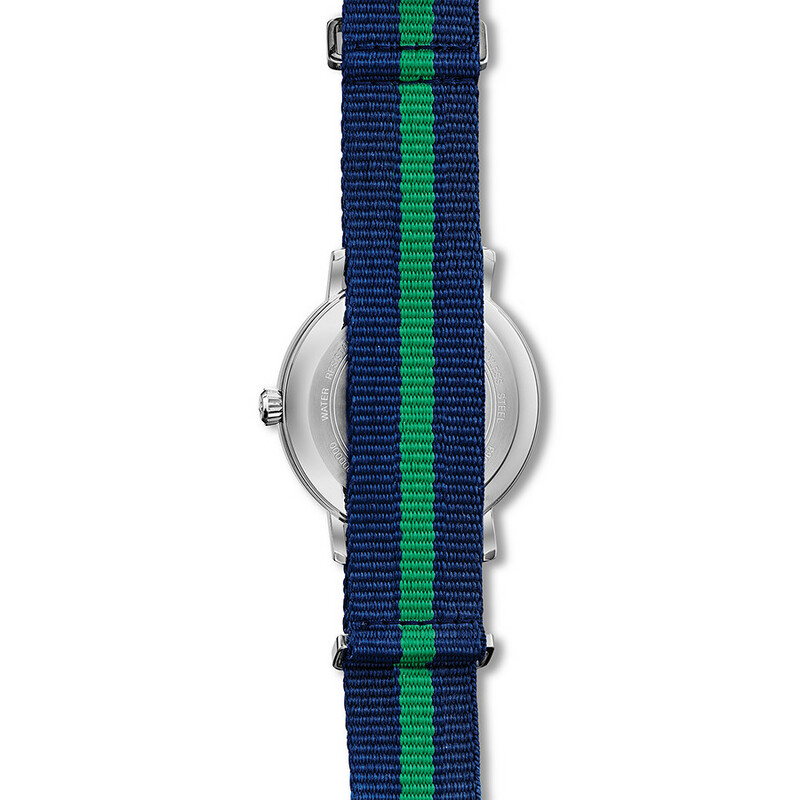 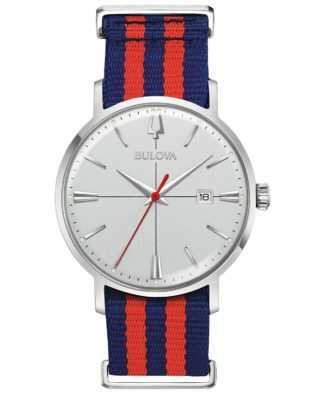 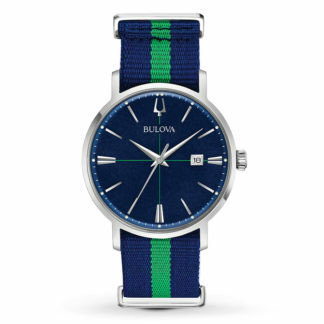 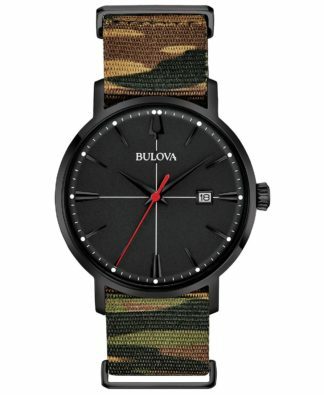 Bulova Aerojet Blue & Green Strap Watch 96B316 – Distinguished by its blue dial with the signature Aerojet crosshair pattern, silver-tone accents, and a blue and green striped NATO strap, this men’s watch from the Classic Aerojet collection by Bulova is elegant day or night. Bulova Aerojet Blue & Green Strap Watch 96B316 – Distinguished by its blue dial with the signature Aerojet crosshair pattern, silver-tone accents, and a blue and green striped NATO strap, this men’s watch from the Classic Aerojet collection by Bulova is elegant day or night. 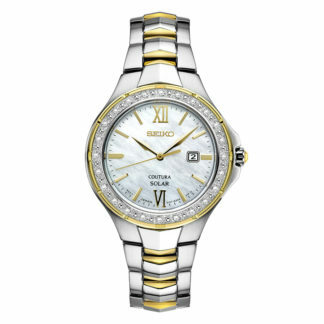 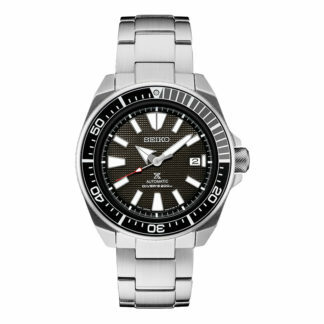 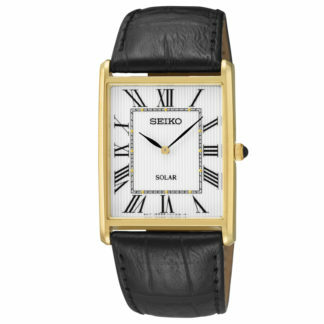 A double box mineral glass tops the 39mm stainless steel case. 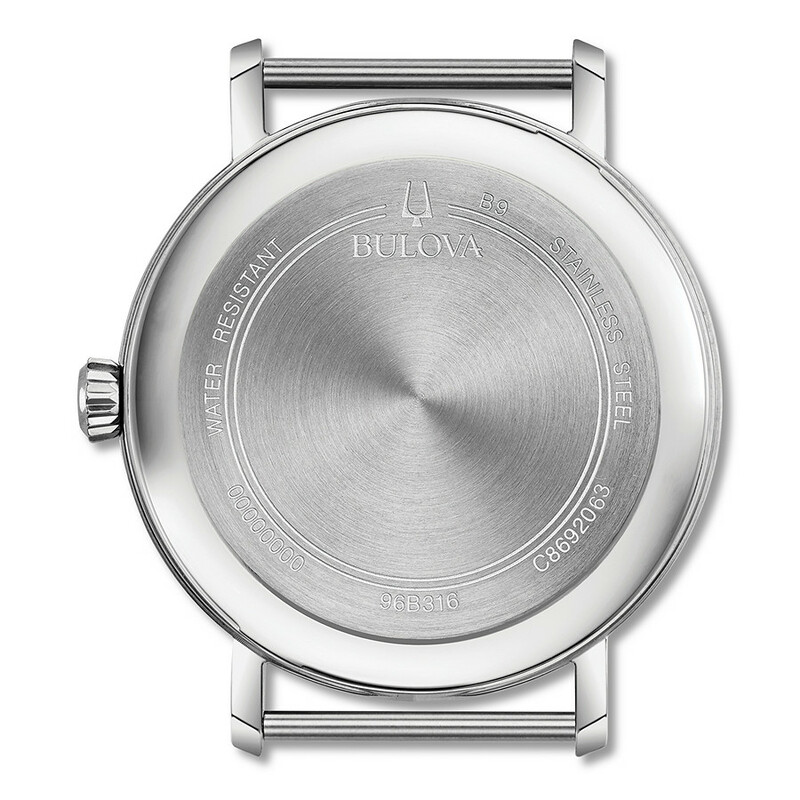 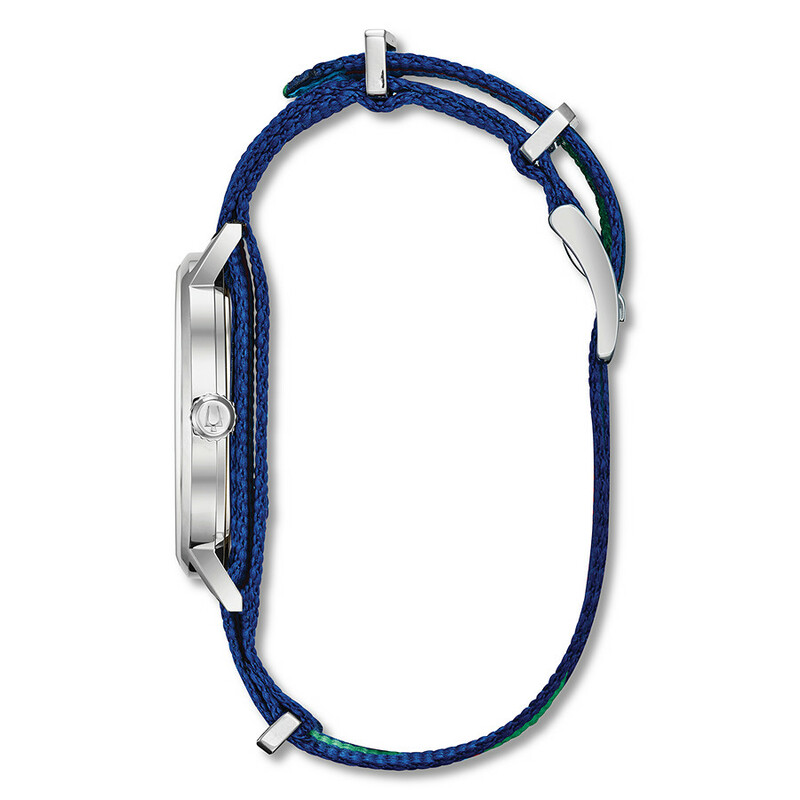 Water-resistant to 30 meters, the watch features a date window and secures with a buckle.